Channer Corporation opened a new state of the art facility in July 1995. This facility is approximately 38,000 square feet, including office, production, and warehouse space. The warehouse includes high ceiling space to allow for high racks to store our large inventory of raw materials. The floor plan was designed for Channer to ensure an efficient workflow as work in progress flows from one department to another. To ensure employee safety and product quality the production area is well lit, climate controlled, and clean. Presently, we have more than 10 automatic machines that afford us the capacity to produce wire leads of various lengths. In 2005, Channer started to implement LEAN MANUFACTURING into our processes. Channer Corporation has a sister company, Wallace Electronics, located in Dallas, Texas. Ownership purchased Wallace in the summer of 2000. 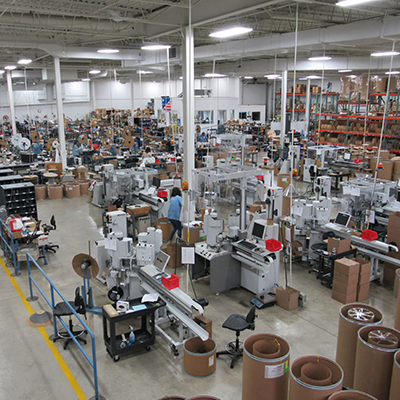 Wallace is a cutting edge mass production cable facility that was established in 1977.